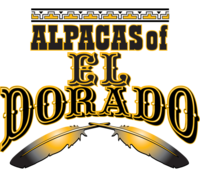 Openherd: Alpacas of El Dorado - Get great deals on alpacas in Openherd auction lots! NEW ON HERDSIRE ROW !!! 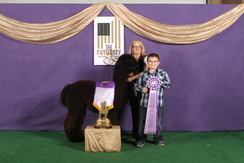 11x Champ, 8 Outside Breedings Left for 2019! Announcement: FTAF's Blackbeard - 8 Outside Breedings available for 2019 - $2500 each. Update: Blackbeard won his 11th Championship at the VAOBA Expo in December of 2018 at 6 1/2 years old with Amanda VandenBosch! The result of this breeding was in the making for a very long time!!! Her grand dam El Dorado Rhapsody was supposed to be bred to Snowmass Satin Reserve. 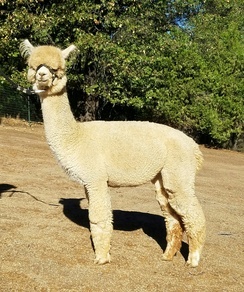 Unfortunately she had an untimely death but left us with a young cria named El Dorado Rhapture. 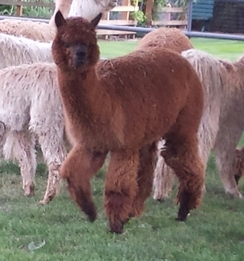 We had to wait until Rhapture was old enough to breed to be able to breed her to Snowmass Satin Reserve. The ultimate prize was this offspring.....Rhapsody in Satin !!!! !